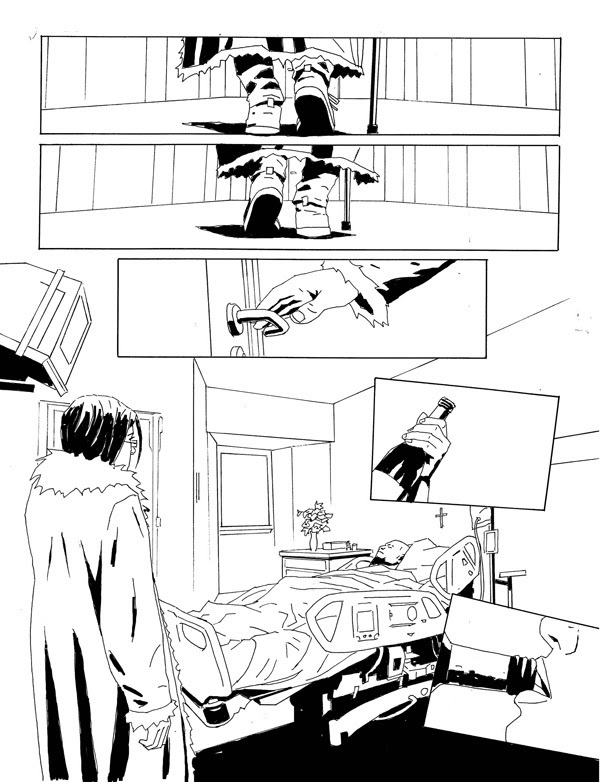 HomeComic NotesThe End Comes For Occult Horror Series Caballistics Inc. – This Christmas! The End Comes For Occult Horror Series Caballistics Inc. – This Christmas! More than a decade after it last appeared, one of 2000 AD’s most popular modern series is to conclude this Christmas with a special final episode! Long hoped for by fans, occult horror action series Caballistics Inc. will wrap up with a special one-off story by co-creators Gordon Rennie and Dom Reardon in 2000 AD’s traditional bumper end-of-year issue. 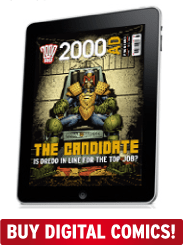 2000 AD Prog 2111 will be available in print and digital from 12 December 2018. 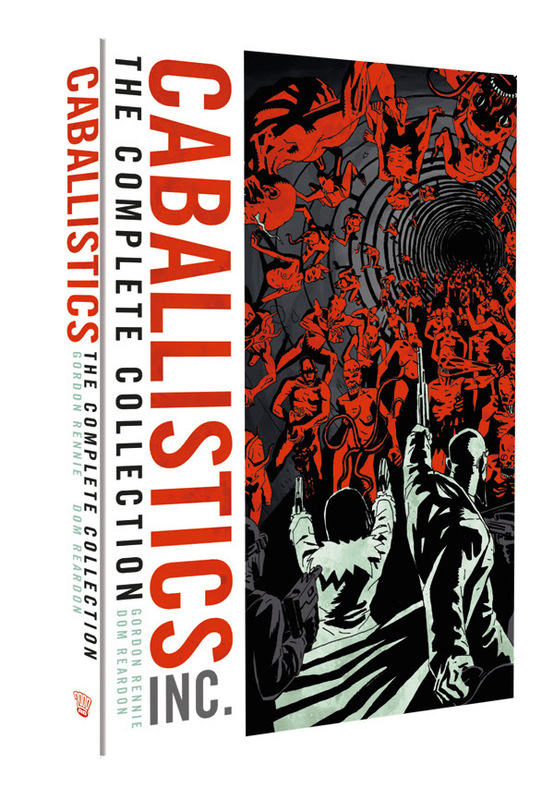 The entire series, with its new final episode, will then be collected in The Complete Caballistics Inc. trade paperback, due for release on 21st February 2019 (19th February in North America). First published in December 2002, Caballistics Inc. mixes Hammer Horror, John Wyndham, HP Lovecraft and Quatermass in a contemporary setting where the last remaining members of Department Q, a Ministry of Defence department originally created in the 1940s to combat Nazi occult warfare, find themselves unexpectedly privatized and sold to reclusive multi-millionaire 1970s pop star Ethan Kostabi. This new private ghost-busting outfit tackled everything from demons on the London Underground to succubi on the North Yorkshire coast, Rennie’s intricate plotting and brutal action the perfect complement to Reardon’s artwork filled with heavy shadows packed with horrific demonic entities and grimacing villains. Set a couple of years after the events of the last Caballistics story, the new story in Prog 2111 sees freelance demon-hunter Hannah Chapter visit her comatose comrade Lawrence Verse in hospital, filling him in on what’s been happing to the rest of the characters – chiefly, the lengths their enemies are going to to destroy the demon offspring of the sinister Ravne and Jenny, the possessed wife of the former head of Department Q. And there’s a treat for digital readers – fans who have previously bought the digital ‘Complete Caballistics Inc.’ edition from the 2000 AD webshop and apps, which does not contain the new concluding story, will have their digital file automatically upgraded to the new version – for free – on day of release. The Galaxy’s Greatest Comic rounds out another storming year with a 100-page Xmas spectacular, featuring a stunning line-up of stories and creators. Dredd tackles a sinister Christmas spirit in Judge Dredd : Jingle All the Way; Nolan Blake has to investigate a terrorist cell in Skip Tracer: Louder Than Bombs; vampire bounty hunter Durham Red takes down a criminal gang in Durham Red: Three Gifts; Celtic warrior Sláine learns a little of Ukko’s nefarious past in Sláine: The Bogatyr; Deadworld’s survivors face down Judge Fear in Fall of Deadworld: Running Scared; something evil lurks in the woods in new folk-horror series Thistlebone; the master cult makes its move in Brink: High Society; the vampires take to the skies above WWI France in Fiends of the Western Front; and the supernatural series Caballistics, Inc. comes to a close with the final ever episode ‘Visiting Hour’. Plus much more!